To the classical world, architecture meant much more than the mere construction of buildings. It embodied notions of order, proportion and symmetry, and from the earliest times the aesthetic quality, architecture as an art, had priority. These elements continued in European architecture from the earliest Greek and Roman buildings, through various stages of evolution and transformation, into medieval and Renaissance times, and still make a contribution to the architectural debate of the present day. 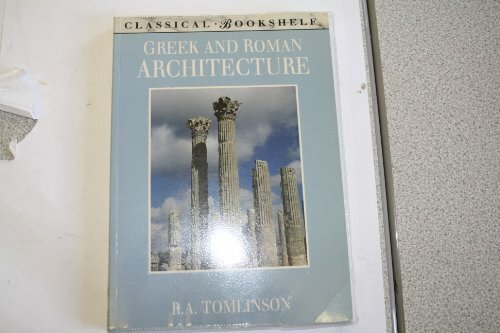 This book traces the development of classical architecture around the Mediterranean, Europe and Asia Minor from the earliest hut habitations in Greece and Italy through to the definitive Greek &quot;orders&quot; clearly distinguishable by the early sixth century BC, whose features remained essential in classical architecture for over a millenium. It shows how the Romans continued and enhanced the Greek and Hellenistic traditions in Italy and throughout the Empire. Changing materials - thatch, stone, terracotta, the earliest concrete and brick - led to changing forms of building design, and not only temples and tombs but domestic dwellings, theatres and public halls are discussed in the context of the history of the period.